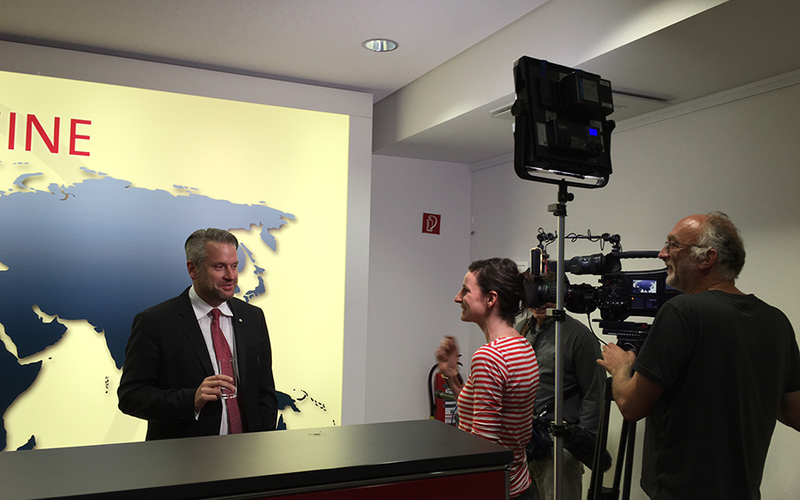 (Berlin, 10.4.2016) On the occasion of today’s BGA foreign trade press conference, the ARD news program “Tagesschau” reported on the economic situation and perspective of German foreign trade. WOM supported this report with a short company profile and interview. The ARD-aktuell team asked managing director Oliver Kupka about currently relevant export topics and approval requirements in the medical technology industry.